This last statement is not true. Mrs. Rush's house was moved from [the] southwest corner lot of Wilbur & Durham. This picture is of first public school, but was built by Methodists for church, and was loaned to the district for a school on weekdays. This house was torn down for the lumber about 1910. Lucian Davidson built first school cor. Wilbur and Durham about 1861. Note: 1st school Bishop Thomas Fielding Scott opened Episcopal school for boy c. 1855-65 on property of Geo. Roger's Park near Green Street. This is not The Boy's School. Friends of Library. OA#105. Transcription This last statement is not true. Mrs. Rush's house was moved from [the] southwest corner lot of Wilbur & Durham. This picture is of first public school, but was built by Methodists for church, and was loaned to the district for a school on weekdays. 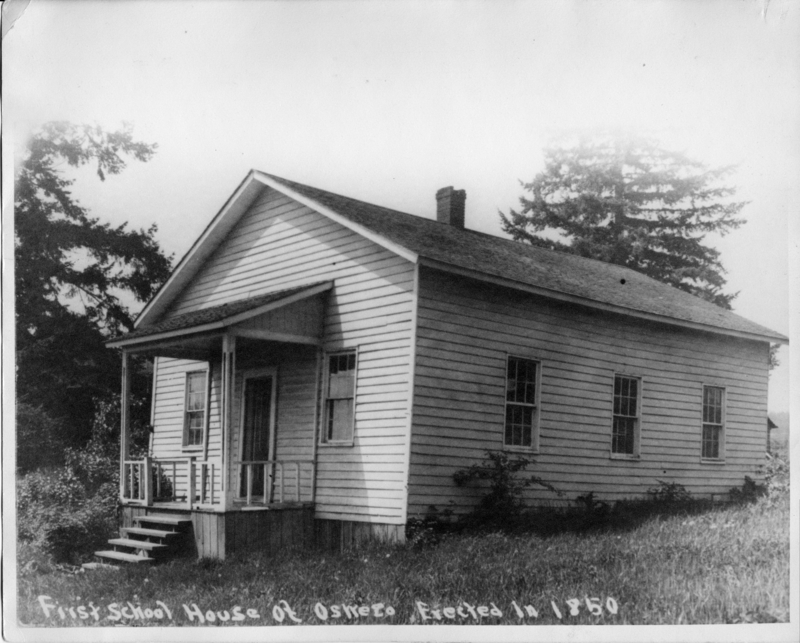 This house was torn down for the lumber about 1910. Lucian Davidson built first school cor. Wilbur and Durham about 1861. Note: 1st school Bishop Thomas Fielding Scott opened Episcopal school for boy c. 1855-65 on property of Geo. Roger's Park near Green Street. This is not The Boy's School. Friends of Library. OA#105.